Fred Smith & Sons (Motorbodies) Sams Lane, West Bromwich. B70 7EG. The main reception for Fred Smith & Sons was connected to the adjacent Operations office separated by a loadbearing masonry wall. The client wanted to integrate the two operations by removing the separating wall and make it an open plan and more welcoming space. ABC took on the turnkey role to obtain structural calculations and provide working drawings to ensure the wall was removed safely together with the installation of a new steel beam to support the upper floor. The area was taken back to the building shell following the removal of the suspended ceiling, lighting and cabling. The refurbishment included new flooring, decorations, suspended ceiling, LED lighting and data/power cabling to the relocated reception desk. To complete the make over ABC supplied a new reception desk to match in with new height adjustable desking for the Operations Team. The project was completed on budget and within the 2-week programme. 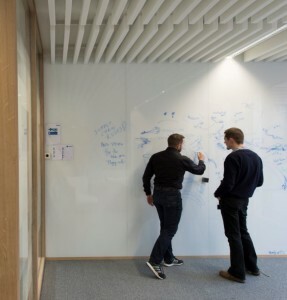 With the continued use of open plan working and the introduction of integrated collaboration areas, we’re experiencing an increased demand for full height writing walls for the sharing of ideas, strategizing and planning. These are generally bespoke items made up specifically to meet the site dimensions to be covered and can be a simple wipeable board, magnetic wipeable board or coloured glass, each one attracting a variance in cost. Boardman Performance Centre are a dedicated supplier of bikes and this is the heart of their business. Supporting some of the best Olympic athletes in the world, their aim is to ensure they deliver the highest level of performance attributes for every rider. ABC were extremely proud and privileged to work with the Boardman Bikes Team at the new state of the art Boardman Performance Centre in Evesham, Worcestershire. 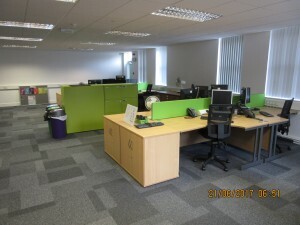 ABC supplied and installed the presentation and training room furniture with complimentary break out soft seating spaces. Using contemporary designs and bold upholstery fabrics the overall effect was well received and put into immediate use. Nicola Fleming – Boardman Bikes Leadership and Development Manager………………………………. Simon worked closely with us on designs, colours and budget and supported us through an extremely busy transition period. Thank you for your patience and dedication to give us this wonderful environment. Following a website enquiry ABC met with Fern Plastics to discuss their main washroom facility which needed a full refit. Considering the heavy use, it gets, it had stood up well for the last 20 years, but the time had come for a makeover. After stripping out the complete interior, back to bare brickwork, walls were plastered to provide a long term resilient finish in readiness for the installation of new cubicles, vanity units, sanitaryware and fixtures. Walls and ceilings were painted in lighter shades to give a fresher look and to compliment the ‘Melody Grey’ cubicle and vanity unit range. New radiators, mirrors, tiling, sanitaryware fixtures and fittings were installed to complete the makeover. ABC provided temporary washroom facilities for the duration of the project, linked to existing services. The project completed on programme and budget. Fladbury First School had undergone a Fire Audit from the Hereford and Worcester Fire Service and several safety issues had been highlighted for remediation. ABC secured the works through competitive tender to replace fire doors, upgrade the house smoke detection system and upgrade final exit door ironmongery. AMEC Foster Wheeler offer consultancy, engineering, project management, operations and construction services, project delivery and specialised power equipment services to a worldwide customer base. They have more than 160 years of history, employ around 35,000 people and operate in more than 55 countries. 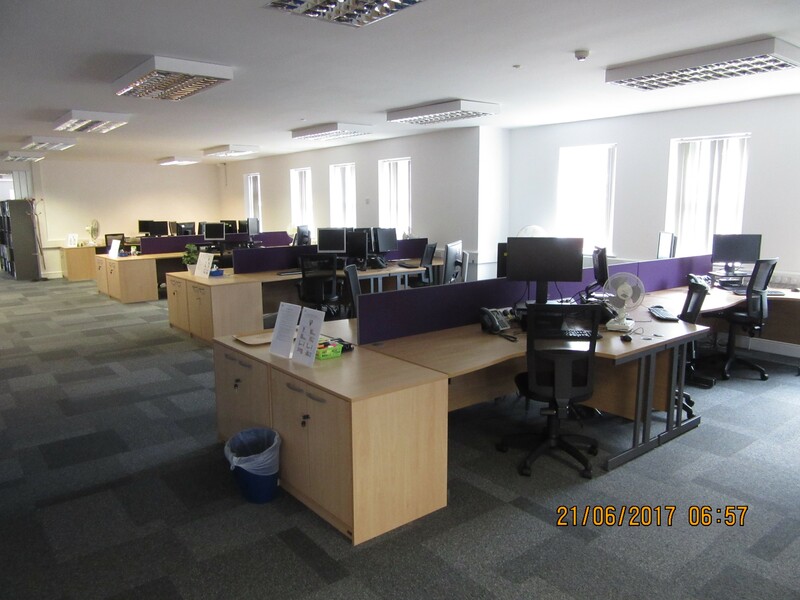 As part of their strategic plan to introduce SMART working, it was recognized that the existing space at Canon Court, Shrewsbury would be too large for future requirements and that space on the first floor could be returned to the landlord. SMART working would introduce a fundamental change in the way people would be expected to operate within the office environment. Archiving of documents would be encouraged to reduce the amount of on-site filing, personal desk pedestals were removed and replaced with individual lockers and a clear desk policy was introduced. Whilst it was recognized that some people would need an allocated desk, the remainder would be able to work from any non-allocated desk. 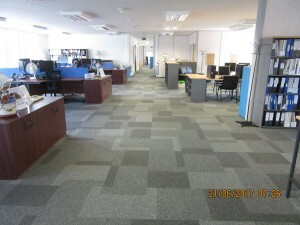 The retained space was redecorated and re-carpeted over a series of phases. The existing desks and some storage was re-used and new operator seating was installed. The majority of the work was completed during normal working hours with minimal disruption to the ongoing business. Johnsons Coach Travel, Henley in Arden, specialise in coach hire, holidays, day trips, bus hire and plenty more. Based just outside Birmingham, they’re very much a family run business. ABC Solutions were proud to be part of the project team for the new office extension at Johnsons Coach Travel, Henley in Arden. 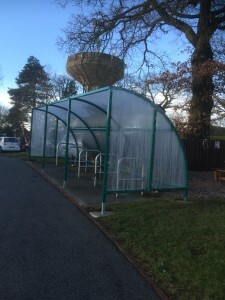 The popular coach and travel business were keen to improve their customers experience by providing a purpose built “Comfort Stop” for all customers to use at either the start or finish of their coach holiday. The new accommodation provides customers with Female / Male and Disabled Persons Toilets, together with a light and airy waiting area including provision for hot and cold beverages. It made financial and constructional sense to consider adding an upper floor to the extension footprint, which provides a new conference room and much needed expansion space for the operation teams. ABC Solutions provided Project and Contract Management, Design & Statutory Approval Consultancy and Cost Management through the JCT Form of Contract. ABC Solutions worked closely with main contractor Colonnade Construction, from Evesham. Summit Insurance is a leading, privately owned venture capital business. The company is located in Rugby and has been established for over 20 years. It is involved in the areas of business services and finance. Summit Insurance out grew their current office space and needed to relocate to new premises within Rugby that could be adapted to suit their needs. 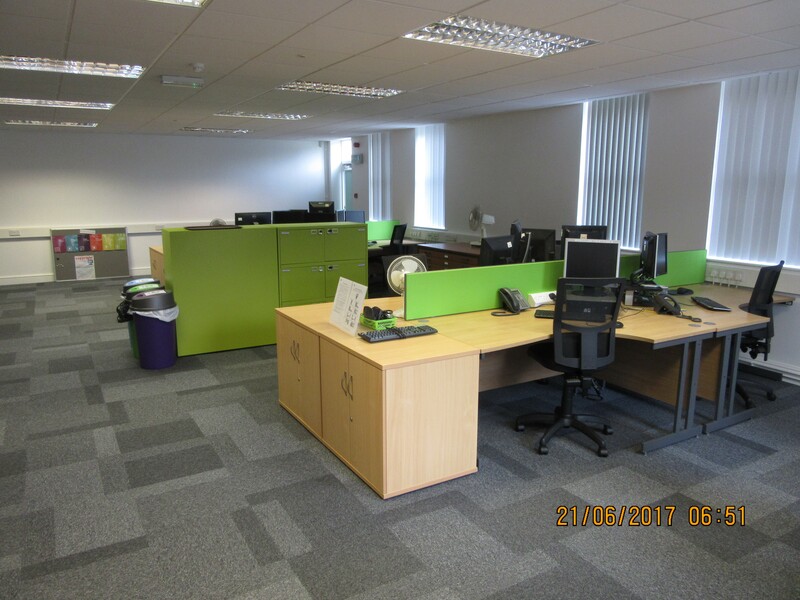 ABC Solutions completed the fit out of their new premises, supplied and installed new office furniture and provided a full relocation service. The fit out was completed in advance of the move date to allow system testing and staff training. The relocation was managed, co-ordinated and completed with minimal disruption, allowing the demands of the day to day business requirements to be met. 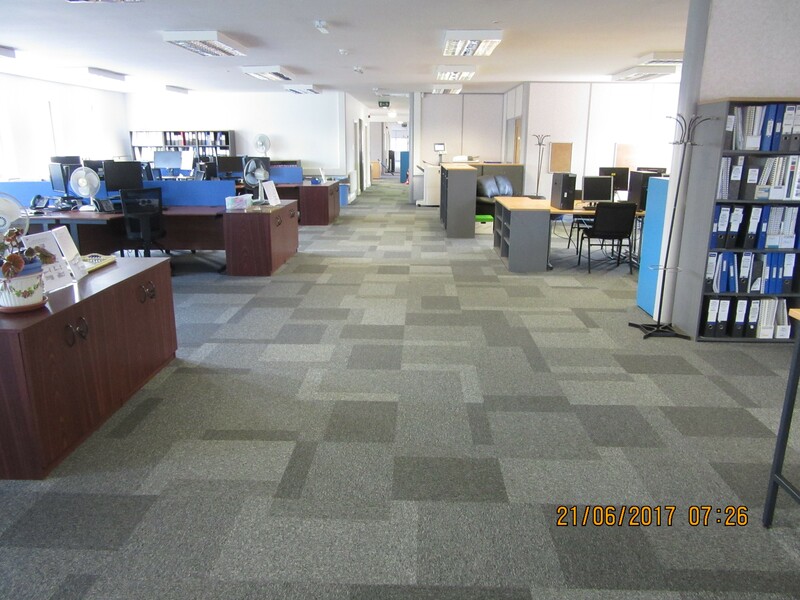 ABC Solutions carried out a full fit out service which included; decoration works, flooring, furniture, cleaning, electrical, plumbing, partitions and ceilings. ABC Solutions Project Manager, Alan Carter, successfully managed the project and ABC Solutions exceeded the client’s expectations. Established in 1980, Wemico is a market leader in the manufacture and supply of beads and profiles for external wall insulation systems and external rendering. Being part of the Protektor group of companies, Wemico offers the highest standards of knowledge and service combined with the most comprehensive range of beads, profiles, trims and flashings, leaving the company unrivalled in its field. The existing sales and technical teams have experienced growth which required a review of the existing office space. To accommodate the current and future growth, a space planning exercise was carried out utilizing the constraints of the existing office building and core facilities whilst using a consistent workstation footprint. It was a great opportunity for WEMICO to review their storage and archiving in order to streamline storage cabinet requirements. 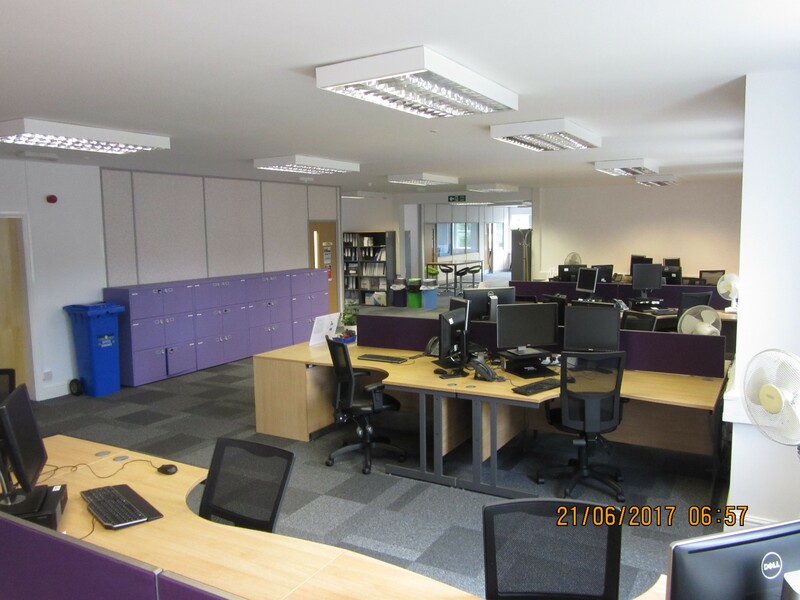 Once the space plan was signed off a proposal was prepared to give the office a complete makeover to include remodeling of partition walls, decorations, carpets, suspended ceiling tiles, lighting, data/power and new upvc external windows and doors. This was an opportunity to review the offices compliance and ensure that all mandatory requirements were met and certificated.